Way back then, we strongly recommended both Matthew’s solo set at the Sasquatch Launch Party as well as the headlining set with his band at the Tractor later that same evening. 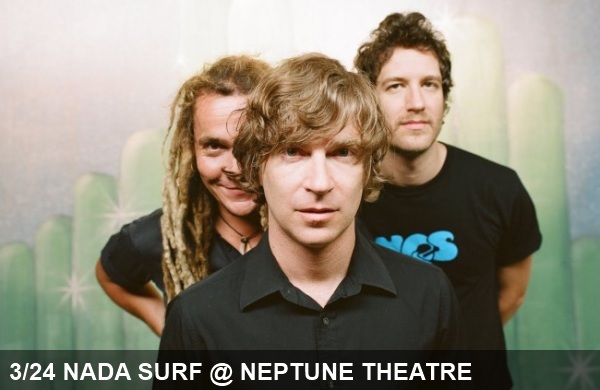 This weekend, however, we present with you a much easier option that doesn’t require a cross-town, mid-show scramble to ensure you’re not missing a second of your favorite Nada Surf songs. Whether you’re a longtime fan or not, do yourself a favor and listen to a track from the band’s newest album The Stars are Indifferent to Astronomy, watch the video for “When I Was Young” below and check out the live experience in the U-District tomorrow night. Nada Surf – When I Was Young (official video) from City Slang on Vimeo.